Succeed in your secretary interview. Win that dream secretarial or administrative professional job by asking the right questions during the interview for the secretarial job. Towards the end of your job interview you will be asked "Do you have any questions?" Have about 5 to 7 insightful questions ready to ask and impress the interviewer with your preparation and professionalism. Select appropriate questions to ask from the list below and use the interview tips and techniques to stand out from the competition. There are a number of key steps to take to prepare for your interview. Be ready with good answers to typical secretarial interview questions. 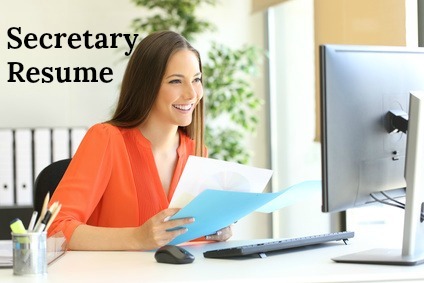 What are the top priorities in this secretarial job? What are your expectations of the right candidate for this secretary job? What would you consider to be the most important ability for success in this job? What are the key short term goals for this department? What would you describe as the department's current strengths and weaknesses? As a manager what do you consider to be the main challenges in this secretary job? How is success measured in this job? How will the successful candidate's performance in this job be reviewed? Please describe a typical daily schedule in this job? What is a typical work week? What sort of responsibilities would you want to include in this position? How would you describe the typical management style in the company? How does the company encourage learning and development of it's employees? What would you consider to be the biggest opportunity/challenge facing this organization? 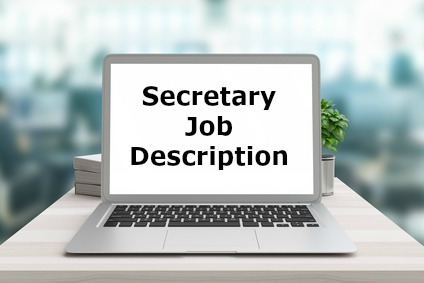 Why is this secretarial vacancy open? 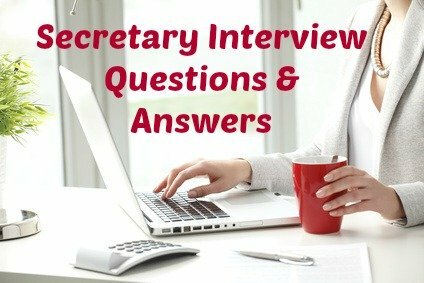 Prepare for the secretary interview questions you will be asked in your secretary job interview. Expect these frequently asked competency-based interview questions in your secretary interview. Casual business attire may becoming more popular but it still a good rule of thumb to wear formal, business-like clothes to your secretary job interview. This makes a great first impression and shows respect for the interview process. Employers are looking for secretaries or administrative professionals with excellent communication skills. Avoid these common communication mistakes in your secretary interview. Using non-words like "um" and "you know" and "like" indicate a lack of preparation, confidence and professionalism. If you are stuck just take a pause and breathe while you gather your thoughts. Making grammatical errors and not speaking in complete sentences. Speaking too fast makes you appear nervous and makes it difficult to follow your answers. To avoid rushing your words you can count two or three beats in your head before answering questions and the end of your sentences. Using negative words like " kind of", "sort of" and "perhaps". Use positive words like "I am confident that..."
Interrupting the interviewer. Giving full attention to what other people are saying and taking the time to understand questions are key skills for a secretary.